Niccolò Pisani is Assistant Professor of International Management at the University of Amsterdam in the Netherlands. 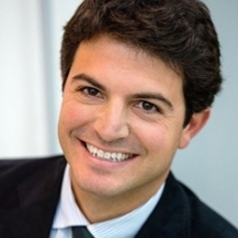 He holds a Ph.D. in Management from IESE Business School. His research focuses on the international management domain and the topics of his scholarly enquiry range from global business strategy to international corporate social responsibility. His research has appeared in a variety of journals such as Journal of Management, Journal of World Business, Management International Review, Journal of International Management, and European Management Journal, as well as practitioner-oriented outlets such as Harvard Business Review, Harvard Deusto Business Review, The European Business Review, and The Financial Business Review. His work has also been published in leading European newspapers such as the Spanish El País and the Belgian L'Echo.